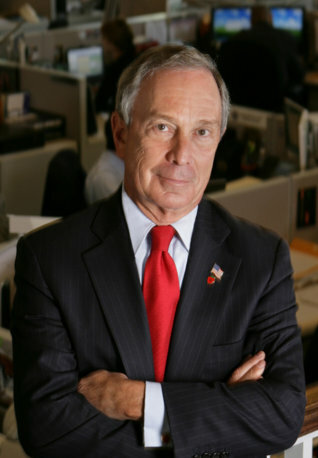 Former New York City Mayor and regular Bermuda visitor Michael Bloomberg said he will not run for President of the United States, saying that it is clear he cannot win. In an article on Bloomberg view, Mr Bloomberg said, “Over the course of American history, both parties have tended to nominate presidential candidates who stay close to and build from the center. But that tradition may be breaking down. “Extremism is on the march, and unless we stop it, our problems at home and abroad will grow worse. Many Americans are understandably dismayed by this, and I share their concerns. “Over the last several months, many Americans have urged me to run for president as an independent, and some who don’t like the current candidates have said it is my patriotic duty to do so. “I appreciate their appeals, and I have given the question serious consideration. The deadline to answer it is now, because of ballot access requirements. “I’ve always been drawn to impossible challenges, and none today is greater or more important than ending the partisan war in Washington and making government work for the American people — not lobbyists and campaign donors. “Bringing about this change will require electing leaders who are more focused on getting results than winning re-election, who have experience building small businesses and creating jobs, who know how to balance budgets and manage large organizations, who aren’t beholden to special interests — and who are honest with the public at every turn. I’m flattered that some think I could provide this kind of leadership. “But when I look at the data, it’s clear to me that if I entered the race, I could not win. I believe I could win a number of diverse states — but not enough to win the 270 Electoral College votes necessary to win the presidency. “In a three-way race, it’s unlikely any candidate would win a majority of electoral votes, and then the power to choose the president would be taken out of the hands of the American people and thrown to Congress. “The fact is, even if I were to receive the most popular votes and the most electoral votes, victory would be highly unlikely, because most members of Congress would vote for their party’s nominee. Party loyalists in Congress — not the American people or the Electoral College — would determine the next president. “As the race stands now, with Republicans in charge of both Houses, there is a good chance that my candidacy could lead to the election of Donald Trump or Senator Ted Cruz. That is not a risk I can take in good conscience. “I have known Mr. Trump casually for many years, and we have always been on friendly terms. I even agreed to appear on “The Apprentice” — twice. But he has run the most divisive and demagogic presidential campaign I can remember, preying on people’s prejudices and fears. “Threatening to bar foreign Muslims from entering the country is a direct assault on two of the core values that gave rise to our nation: religious tolerance and the separation of church and state. “Attacking and promising to deport millions of Mexicans, feigning ignorance of white supremacists, and threatening China and Japan with a trade war are all dangerously wrong, too. “These moves would divide us at home and compromise our moral leadership around the world. The end result would be to embolden our enemies, threaten the security of our allies, and put our own men and women in uniform at greater risk. “Senator Cruz’s pandering on immigration may lack Trump’s rhetorical excess, but it is no less extreme. His refusal to oppose banning foreigners based on their religion may be less bombastic than Trump’s position, but it is no less divisive. The 2016 United States presidential election is scheduled for Tuesday, November 8, 2016. Hillary Clinton and Bernie Sanders are seeking the Democratic nomination, while Ted Cruz, John Kasich, Marco Rubio and Donald Trump are all running on the Republican side. Too bad Sir, because Trump will be the next POTUS ! Trump would have a field day embarrassing this guy !